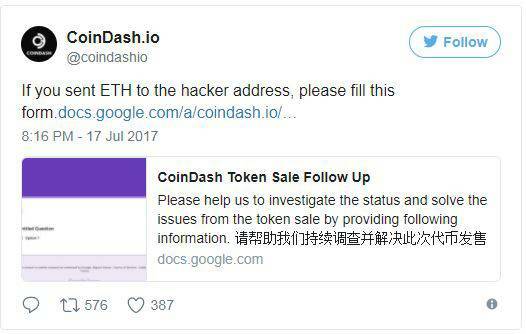 As reported by CCN, CoinDash’s much hyped ICO was going to take place yesterday but was abruptly halted after the company revealed that the sale had been compromised and the address users were sending Ethereum to belonged to an unknown hacker. The company quickly warned investors to stop sending funds, but the hacker still managed to gain millions in Ether. 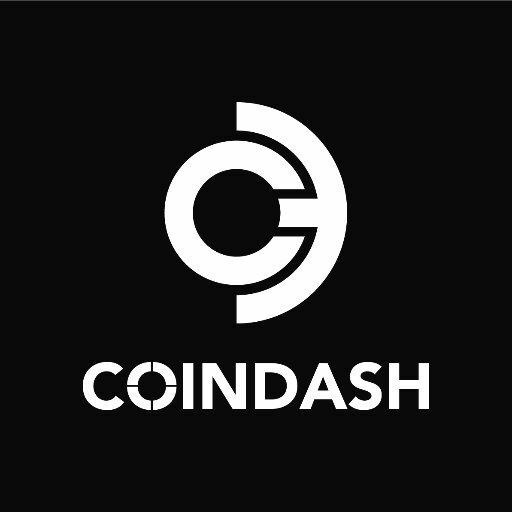 CoinDash, according to Smith and Crown, is a blockchain-based company that combines portfolio management tools and social-trading through Ethereum smart contracts to help users manage their investment portfolio and benchmark it against the market and other users. The Token Sale is done, do not send any ETH to any address. Official statement regarding the hack will be released soon. The company’s goal was to raise $12 million through the ICO that was to last for 28 days. The company stated that the sale secured $6.4 million from early contributors through a statement on its website. By tampering the company’s sale page and getting his address on it, the hacker managed to earn, at press time, a whopping $9.2 million as users were tricked into sending Ethereum to his address. According to Etherscan, over 2,130 transactions took place. The company admits the event was damaging, not only to themselves but to those who contributed to its development. Nevertheless, it shows resiliency in claiming that this is not the end of the project. The team is currently working on the security breach and stated that an update will soon be issued. On CoinDash’s website, a small reminder reads that the attack is still ongoing, and as such users should avoid sending Ether to any address.